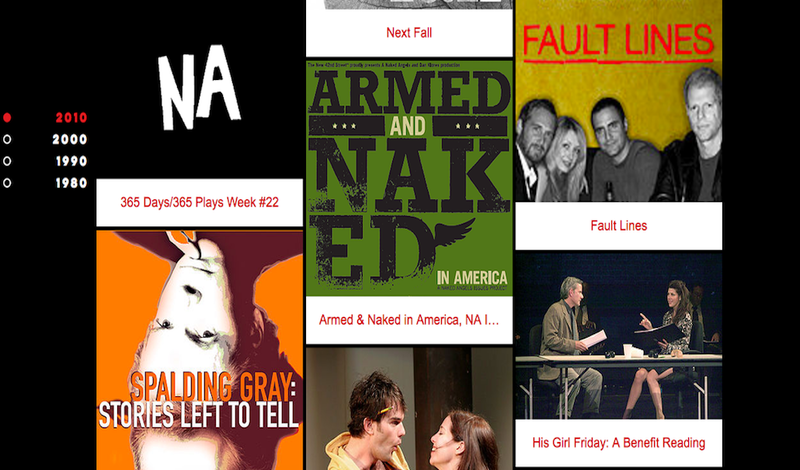 Naked Angels is an American theater company founded in 1986 and based in New York City. It was named after John Tytell’s book about the Beat Generation, Naked Angels. It is notable for having produced plays on controversial social topics, such as the critically acclaimed Broadway transfer Next Fall, and for featuring many Hollywood stars. Over the course of 30 years, Naked Angels has operated at many levels, big and small. It has helped develop work that has gone on to downtown dives, regional houses, and Broadway. Yet at the core of it all has been an unyielding pursuit for dynamic storytelling.